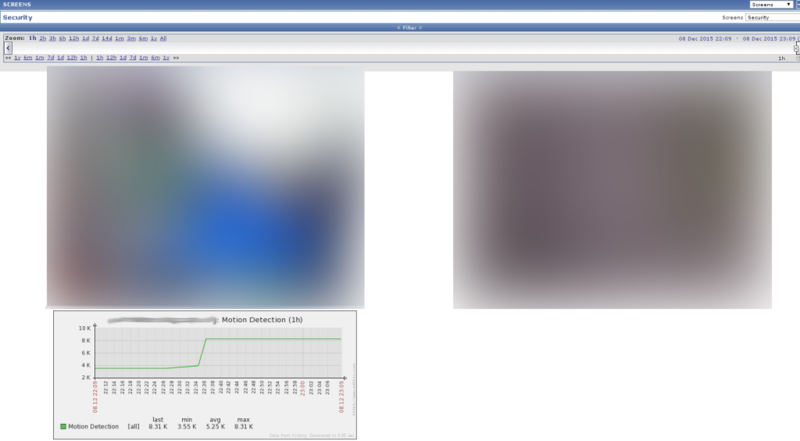 If you’re a regular reader of my blog, you’ll know that I’ve set up a Motion daemon to monitor one of my IP Cameras. Recently, I decided to also make a graph of the motion so that I easily track when motion was detected from my IP Camera. This was easily done with the Zabbix agent as I could send data straight into a Zabbix item with zabbix_sender. In Zabbix, an item will need to be configured for the motion server to send data to. 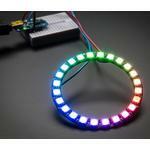 This item could be created on any host, but I’ll create it on my Motion server host. If you’re going to apply this monitoring to many hosts then this would be the time to create the item in a template instead of on a host. This can be installed from your distributions repositories, or you can download the binaries from http://www.zabbix.com/download.php. If you download the binaries, copy zabbix_sender to the /bin directory, or alternatively any other directory in your $PATH environment variable. 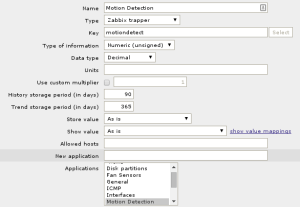 Once you have the zabbix_sender binary, you can configure motion to run it every time motion is detected. In the motion.conf file, we’ll need to modify the on_event_start parameter to add in our zabbix_sender command. In this example, I’ve set up Motion to send the number of changed pixels to Zabbix so I can track how much motion is detected each time it’s detected. Save the file, and restart motion. 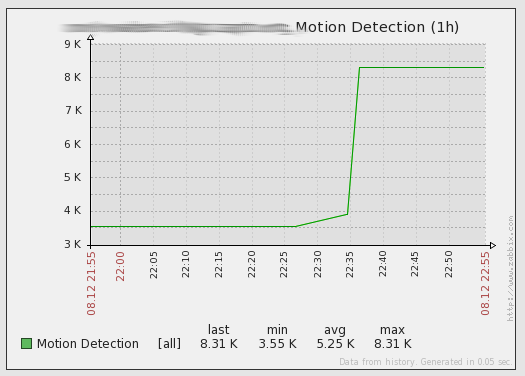 Once it’s restarted, you should get some data in Zabbix whenever motion detects motion. I’ve also created a screen with this item and a stream of the video so that I can see history, and what’s going on right now. I’ve only set up the motion tracking for one of my cameras in this screenshot. Have you installed motion ? The live streaming section is just a url section on a screen.